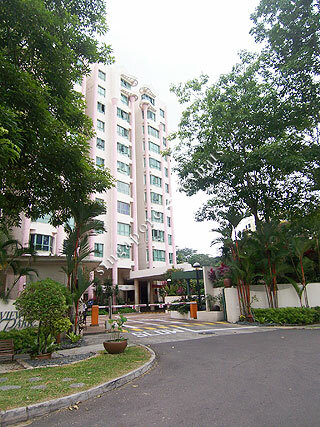 Hillview Park is a 184-unit freehold condominium located along Hillview Avenue near to Bukit Batok and Upper Bukit Timah Road, a quiet and serene private residential estate. Hillview Park is near to the Bukit Batok Town Park, Nature Park and Bukit Timah Nature Reserve. It is within short walking distance to the HDB shops and markets located along Hillview Avenue. The Bukit Panjang Shopping Mall, The Rail Mall and West Mall are also located nearby. A mere 5-minute bus ride is all it takes to go to the Bukit Gombak or Bukit Batok MRT Stations and the shopping malls. Hillview Park is accessible via the Pan Island Expressway (PIE), Bukit Timah Expressway (BKE), Ayer Rajah Expressway (AYE) and Bukit Gombak MRT Station. Traveling to the Central Business District takes about 20 to 30 minutes by car or by the subway.